A recent decision of the Ontario Court of Appeal, Dunsmuir v Royal Group Inc. [Dunsmuir], provides an example of the level of employee misconduct that warrants an employer dismissing an employee for just cause, without notice or pay in lieu. Although most employee misconduct or performance issues will not constitute just cause for termination, in rare circumstances an employee’s conduct will justify a just-cause termination. Most terminations are conducted on a ‘without cause’ basis. Without-cause terminations are premised on the notion that the employee’s conduct has not met the high threshold required to make out just cause and the employer must therefore provide them with statutory and (in the absence of an enforceable termination provision) common law termination entitlements. Where there is just cause for termination, the employer is not required to provide notice or pay in lieu of notice because the employee has engaged in conduct so unreasonable that the employer is justified in dismissing them without notice or compensation. Dunsmuir involved the dismissal of the Senior Vice-President and Chief Financial Officer (“CFO”) of a large public company who made a claim against his employer for wrongful dismissal. In his role, the employee was responsible for overseeing all of the company’s real estate acquisitions. Although the company was public, very few controls existed over the managerial staff at the company and the expectation was that employees would be forthright and honest in disclosing their activities. The dismissed employee had engaged in several business transactions which had been structured so as to benefit certain shareholders of the company personally. In one instance, the employee did not alert the company’s board when land that had initially been offered to the company was instead purchased by the company’s Director and certain shareholders and then sold back to the company at a higher price. The employee did not profit directly but the Director and the shareholders realized a $6.5 million profit at the company’s expense. In another instance, the employee had forgone a substantial bonus payment associated with a promotion he had recently received and instead accepted a portion of a share warrant associated with the sale of a company asset. The shares had been seemingly valueless at the time, but the employee would ultimately turn a profit of $200,000 on their sale. The employee obscured the details of the transaction to other shareholders and also made falsified tax filings in relation to the share sale which served to reduce the tax liabilities of members of senior management. The trial judge found that as an officer of the company the employee owed the employer a fiduciary duty. The court held that as a fiduciary, the employee owed the employer duties of, “loyalty, honesty, candour, and scrupulous avoidance of actual and potential conflicts of interest.” In essence, the Court found that the employee’s senior role put him in a position to do the company considerable harm and accordingly, his duty to the company required honest, forthright conduct. In finding that there was clearly just cause for termination, the Court held that depriving the company of an opportunity to profit for the purpose of deriving secret personal profit was clearly a breach of the employee’s fiduciary duty to the company. The employee’s dismissal for cause was upheld and the Ontario Court of Appeal subsequently approved the lower court’s decision. Though most employees do not owe their employers the same elevated fiduciary duty as the employee in Dunsmuir, this case is still illustrative of the sort of misconduct courts consider sufficiently severe to amount to just cause. Generally, only conduct which goes to the core of the employment relationship and has the potential to seriously harm the employer will amount to cause. This does not always mean the employee will have engaged in large, flagrant acts of misconduct as in Dunsmuir – a collection of smaller infractions which together undermine the employment relationship can also amount to cause – but cause, in those cases, is often harder to make out. Ultimately, establishing cause in a termination is a difficult exercise which often is not worth the trouble it entails. 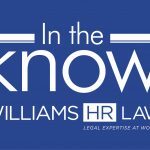 Because a for-cause termination has the potential to impact an employee’s re-employability, it is also more likely to be challenged in court by the dismissed employee. In many cases, the costs of defending a just-cause termination in court will exceed the amounts an employee would be entitled to upon termination without cause – particularly if the employee’s termination entitlements are limited by an enforceable termination clause. As such, employers should carefully weigh their options when considering whether to take a position of just cause at termination, giving consideration to, among other relevant factors, the employee’s entitlements upon termination without cause, the likelihood of litigation if the employer asserts cause for dismissal, whether the misconduct amounts to cause, and in some cases, the impact that a just-cause position might have in discouraging other employees from engaging in similar misconduct.